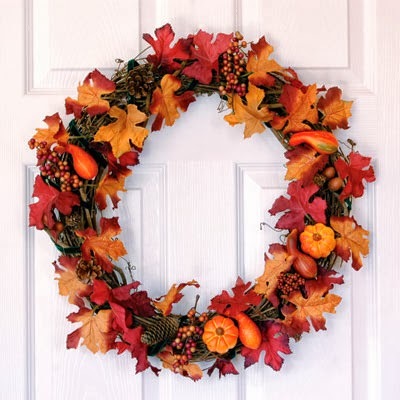 Surprise your friends and family by placing a Halloween wreath on the doors or windows at your home or your office, that way everyone will recognize your great spirit and enthusiasm when the idea is to decorate a place for Halloween. 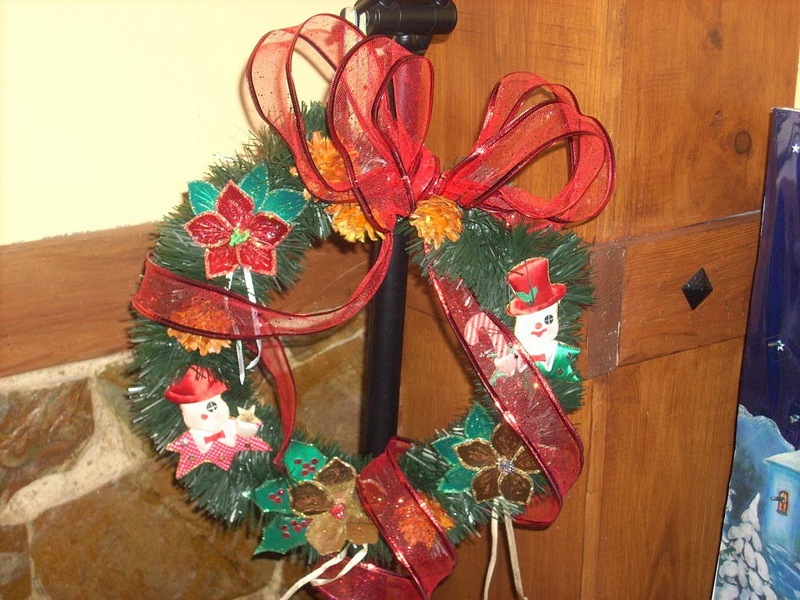 Here there are some ideas that surely will be useful not only for making you feel comfortable but also all who visit you. 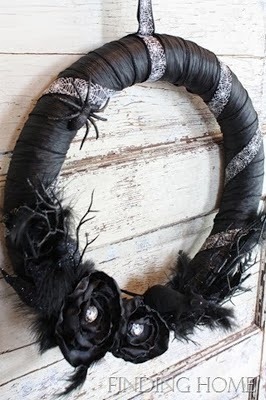 A gray Halloween wreath with bats. 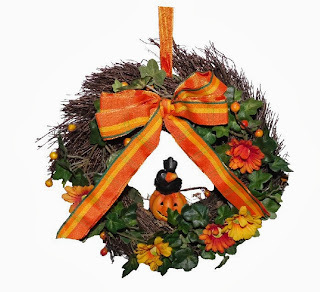 A Halloween wreath with leaves and pumpkins. 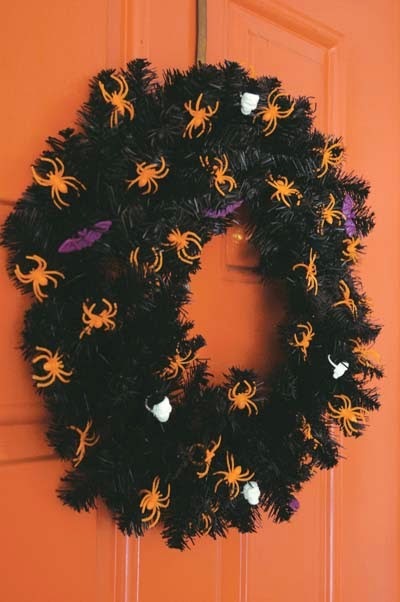 A Halloween wreath with spiders and a cobweb. 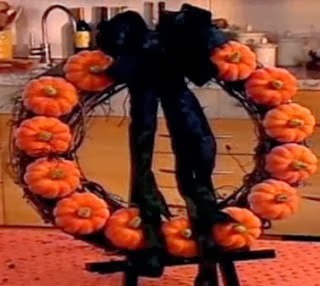 A Halloween wreath with pumpkins. A Halloween wreath with branches, leaves and pumpkins. 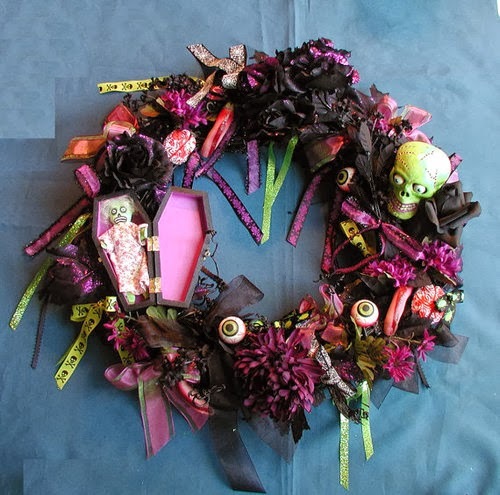 A Halloween wreath with green branches, flowers and ghosts. A Halloween wreath with black spiders, flowers and feathers. A Halloween wreath with eyes, skulls and ribbons. 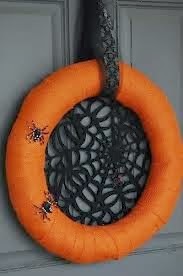 A black Halloween wreath with orange spiders. 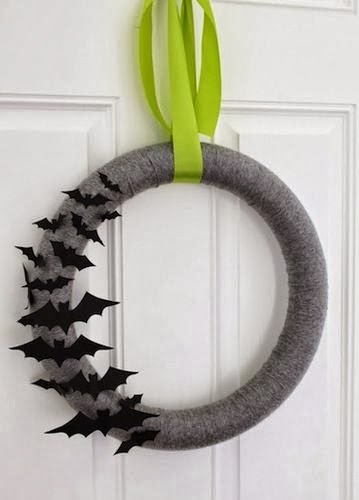 I hope you have enjoyed these wreaths for Halloween decorations.